The new nationalist-movement which developed after 1925, and rose rapidly after the failure of the communist rebellions in 1926, reflected the changes in the structure of the intellectual élite in Indonesia. The new political activists were no longer mainly Dutch or Indo-European, they were Indonesian. As such they realized that recognition of the values of the traditional society was essential to the survival of a mass movement. They had learned from the failure, of the Sarekat Islam that it was impossible to introduce at this stage of the struggle against the colonial régime, modern ideologies which were impossible to comprehend by the great masses of rural Java. Therefore, although most of the leaders had received a Western education, they remained in the first place Indonesian in outlook and while they used the new organisational methods of the West, they made sure that the ideology of their movement was firmly rooted in the traditions of the indigenous society. 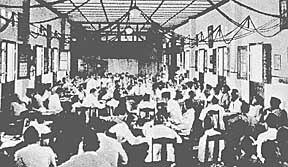 As early as1908, did students, attending Dutch universities, established in the Netherlands the nationalist movement Perhimpunan Indonesia. In 1922, the name of the magazine published by the Perhimpunan Indonesia was changed from Hindia Putra (Son of India) to Indonesia Merdeka (Free Indonesia), reflecting the disappointment over the failure of the Dutch Government to make good its promises of Indonesian participation in the government of the colony.l29 During this same period the principle of non-cooperation was adopted as the policy of the Perhimpunan Indonesia and the major aim of the association became the unification of all nationalist movements in Indonesia. These changes reflect the radicalisation of the movement after World War I. Before the war, the organisation followed a course similar to that of the priyayi party, Budi Utomo, of opposing the colonial status quo in Indonesia, but advocating co-operation with the Dutch Government. 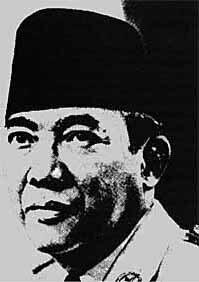 In 1925, the Perhimpunan Indonesia formulated a plan to create a revolutionary nationalist people's party, a Sarekat Rajat Nasional Indonesia, based on a close cooperation between communist and nationalist intellectuals. The failure of the P.K.I. rebellion, however, destroyed these plans. To the Colonial Government the differences in party-ideologies were really of little importance and it viewed all political activity with great suspicion, communist, religious, or nationalist. As soon as the P.N.I., under Sukarno, began to show signs of success, and as soon as it looked even remotely as if Sukarno's movement might become a threat to the Dutch establishment, the government took action. It began to harass the leaders first, and when that did not prove to be sufficient, began to arrest P.N.I. organisers. Soon Sukarno and the others found themselves in Boven-Digul and other concentration camps. 129. Indonesia. Editorial, p. 169. 130. Alers, p. 41. The Perhimpunan Indonesia was associated with the Ligue Against Colonial Oppression. 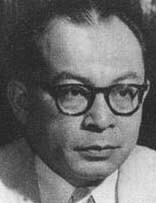 Important members were Soematri, who had studied in Moscow, Mohammad Hatta, who led the deputation to the international congress of the Ligue in 1927, Satromoeljono, and Mangoenkoesomo. 131. Indonesia. Editorial, p. 169. 132. Blumberger, p. 197-198. The crisis over the stevedores' strike was healed in 1923, when the executive committee of the Budi Utomo spoke out against the concept of non-cooperation. But the pacification of the older priyayi elements was done at the expense of alienating most of the younger members. The Bond van Intellectuelen was a strictly élitist organization of Javanese intellectuals. It was immediately attacked by the communists and those Muslims who protested against this "restricted Javanism". 133. Mintz, p. 73. 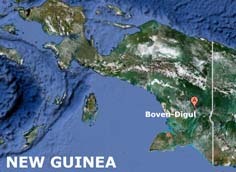 Both Hatta and Sharir were exiled to Boven-Digoel in 1934. 141. Dahm, p. 34 and 39-42.